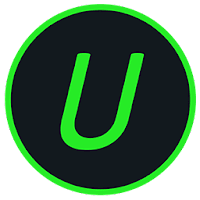 IObit Uninstaller is a free system utility, that helps you to completely and quickly remove unwanted/stubborn programs and browser plug-ins/toolbars, and their leftovers, with ease and efficiency. Where the built-in and sluggish “Windows Add or Remove Programs” option fails, IObit's Uninstall tool works as always and picks up the slack. It simple to use and require no IT knowledge. IObit Uninstaller offers the easiest and fastest solution to completely delete programs, useless Windows Apps, problematic Windows updates and browser plugins. Even it's a malicious plugin or toolbar that can't be removed by the anti-malware programs. IObit Uninstaller detects and removes malicious browser plugins, toolbars and injected programs to protect most web browsers including Microsoft Edge. Moreover, IObit's uninstall tool comes with a powerful scan function and a "Force Uninstall" tool that is specialized in removing stubborn programs and useless leftovers that even Windows classical "Add or Remove Programs" tool fails. IObit Uninstaller 8 is offered in Free and Pro editions. The Pro edition adds powerful features such as: Larger Real-time Database to Uninstall More Stubborn Programs; Uninstall Malicious plug-ins for more secure browser; Cleaner & Faster Online Experience with Adware Removal; Auto Clean Leftovers of Programs Uninstalled by Other Uninstallers; Automatically Update to the Latest Version and Free 7/24 Technical Support on Demand. Disclaimer: Direct downloads for the lastest version of IObit Uninstaller 8.4.0.7 are provided by the official software's author, we can't guarantee safety, availability or download speed. Moreover, we don't and we won't provide any pirated/illegal versions or tools. We recommend you to avoid it as these methods can harm your device. If you like the software, buy it to support the developers. (We provide software discounts for many worldwide brands).